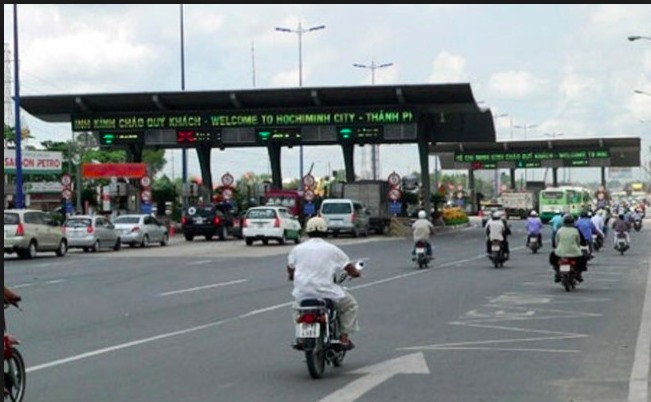 HCM CITY — A electronic toll collection (ETC) system will officially be put into operation at Phú Mỹ Bridge toll station in HCM City’s District 2 on Saturday. The ETC system will automatically charge vehicles going through Phú Mỹ Bridge toll station according to the toll rate of the station. The toll station’s investor, Phú Mỹ Bridge Construction Investment Joint Stock Company, said that vehicle owners must bring an ID card, passport or vehicle certification of ownership to register their accounts for automatic fee collection. They can register at the Phú Mỹ Bridge toll station, VETC electronic toll collection company, or motor vehicle registration centres nationwide. The Phú Mỹ Bridge toll station’s ETC system will be connected to an electronic toll collection system (ETC) at An Sương - An Lạc toll booths in Bình Tân District, and all toll booths will have ETC systems nationwide. Phú Mỹ Bridge, which opened to traffic in September 2009 after four years of construction, connects the city’s District 2 with District 7, with total investment of more than VNĐ2 trillion (US$86 million).